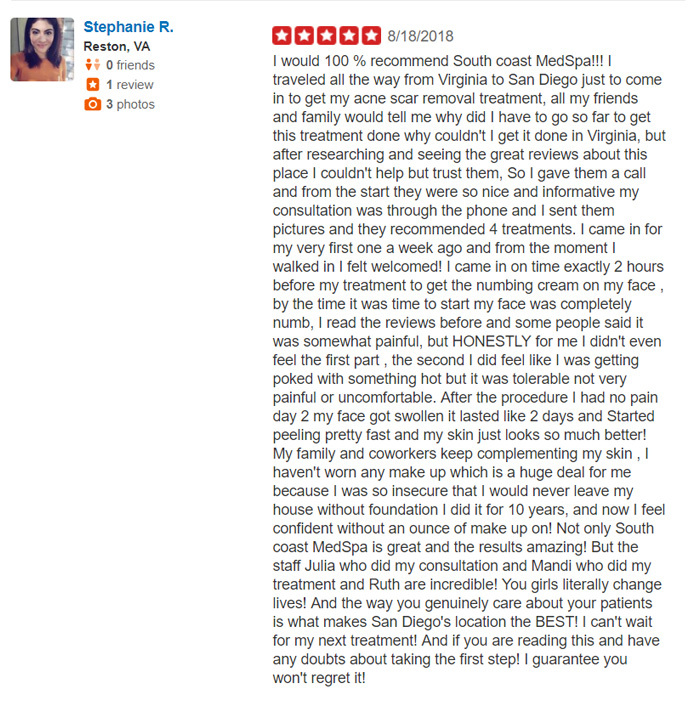 "South Coast MedSpa in Newport has really allowed me to feel more confident about my skin by treating my acne scars. Everyone in this office is helpful and wants nothing but the best for you." Free consultation with a medical practitioner! We highly recommend coming in for a Free Consultation in order for our medical practitioners to evaluate your skin. Based on the medical practitioner's recommendation, we will be able to provide you with our best package options. We look forward to seeing you. If you're too busy to come in, please choose the video consultation option below. You don't have to live with Acne Scars! 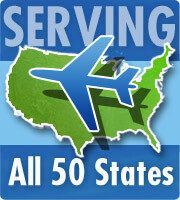 Call (877)650-7267 now to start! Some patients may need up to 3 treatments for best results. 18 months 0% interest financing available! Click here for more before/after photos. No Cutting, No Needles, No Surgery!!! Mimimal Discomfort!! Just a 35 minute Treatment!! Minimal Recovery Time!! South Coast Medspa is a premier laser center with over 200,000 laser treatments performed!! In just 1 treatment in less than 1 hour you will notice a significant improvement with your acne scars! Check out our patient before and after gallery and acne scar removal video library. 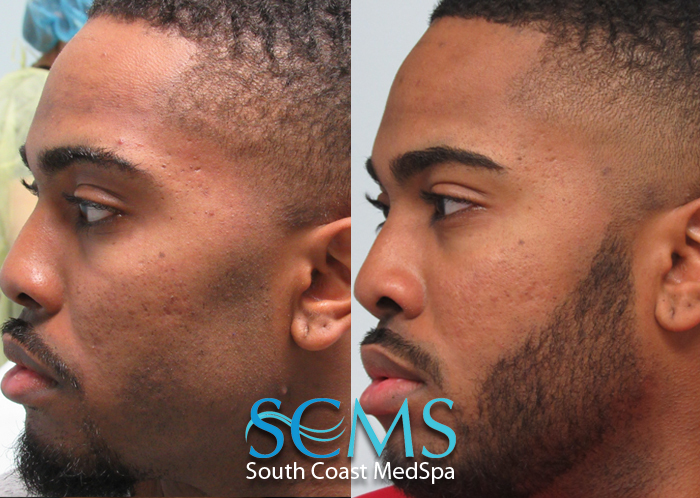 These are true SCMS patients and as you can tell this amazing technology can completely changed their skin texture and appearance in as little as only one treatment. You have suffered with acne and acne scars for years. Now you can finally get rid of those scars, revitalize your face and change your life. Regain that confidence!! Why look less than your best? Underneath those unwanted scars, lies your beautiful new skin!! 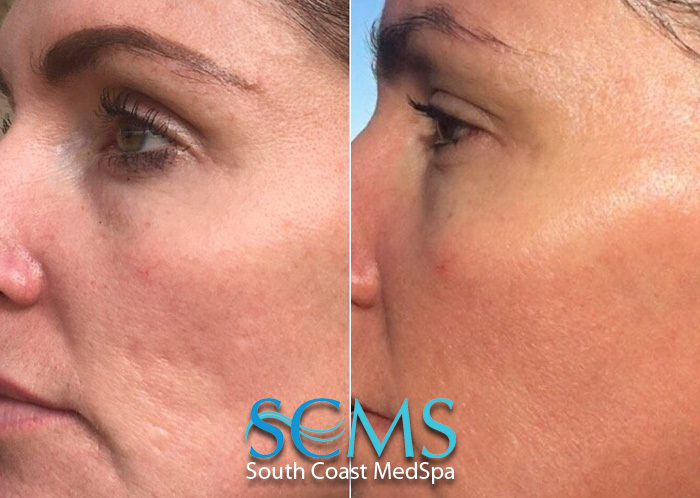 This SCMS revolutionary resurfacing technology uses a fractional CO2 resurfacing technique that erases the top epidermal layer of your skin where lies the scars, dead skin cells, enlarged pores, uneven tone, etc. You can get rid of all this damage by simply peeling that skin with our technology. With only 3-5 days of healing time, you can watch the development of brand new soft, acne scar free, and vibrant skin!! There is no magic here. Beautiful skin lies underneath and the SCMS technology will help you uncover it!! The SCMS resurfacing technology requires anywhere from 1 to 3 treaments to get rid of 100% of your acne scars. Men and Women are raving about the benefits of our revolutionary technology. This limited time offer is the best in the industry! Please don't let this opportunity pass you by! When you book your appointment, you will save thousands of $$$ off the regular price of the treatments. 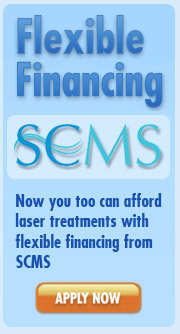 This hassle free process takes the financial pain out of laser acne scar removal. Say Goodbye to your facial imperfections and change your life forever!! Say hello to the new you!!! With over 35,000 laser treatments performed, you can count on us to deliver results for you. Click here for more information on this amazing technology! 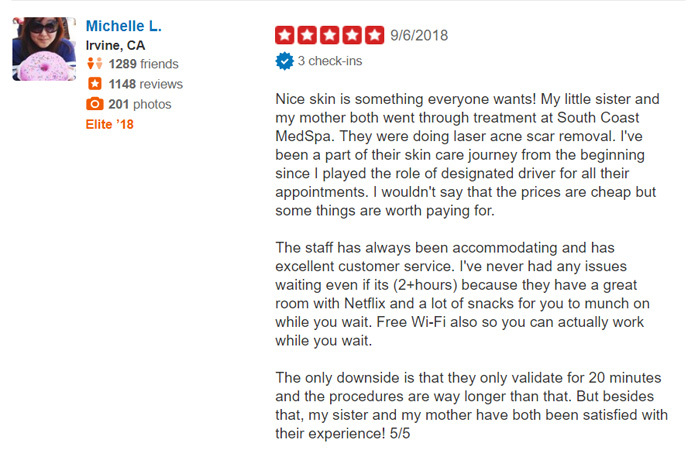 "I want to thank you and all the staff at South Coast Med Spa for the outstanding treatment I received there. 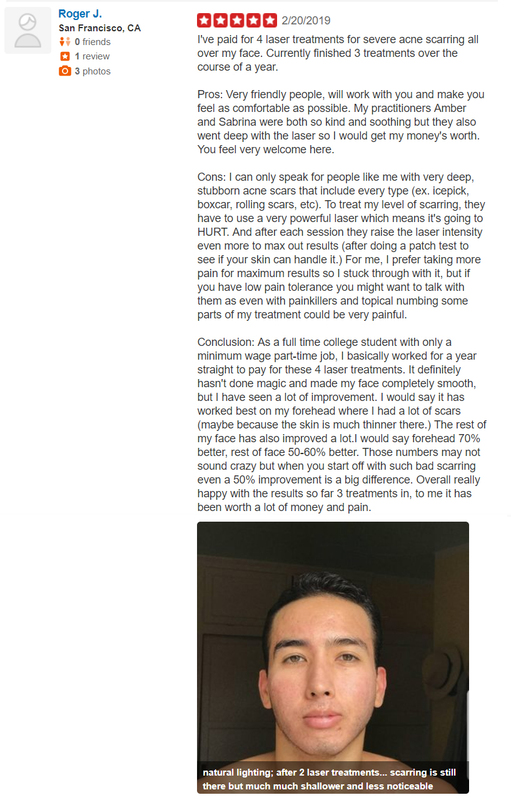 I was amazed at the results that just one treatment had on my old acne scars. The procedure was practically painless and only took around 35 minutes. I look forward to going through life with younger smoother looking skin.!" Ivan - Laguna Niguel, CA. 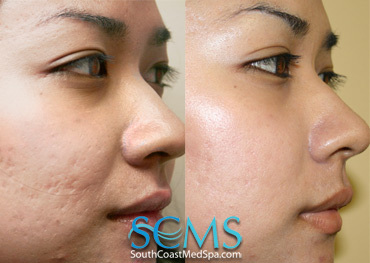 "South Coast Medspa has helped me get rid of my acne scars! Justin- Irvine, CA. "The people here are self less. They truly cared about making me happy. My life has change 180 degrees." JO - Pico Rivera, CA. "I never thought my face would look this good again!" Erica - Woodland Hills, CA. ALL TRADE RIGHTS PROTECTED. South Coast MedSpa provides the information contained in this website for educational purposes about laser treaments only and should not be construed as medical advice or to replace a consultation with a qualified physician. Serving the areas of Beverly Hills, Huntington Beach, Irvine, Long Beach, Los Angeles, Newport Beach, and Orange County, California. South Coast MedSpa provides the information contained in this website for educational purposes about laser hair removal only and should not be construed as medical advice or to replace a consultation with a qualified physician. Serving the areas of Beverly Hills, Huntington Beach, Irvine, Long Beach, Los Angeles, Newport Beach, and Orange County, California.